The Pursuit of Happyness is a drama film that came out in 2006. The movie was among the more inspiring and dramatic films of that year. 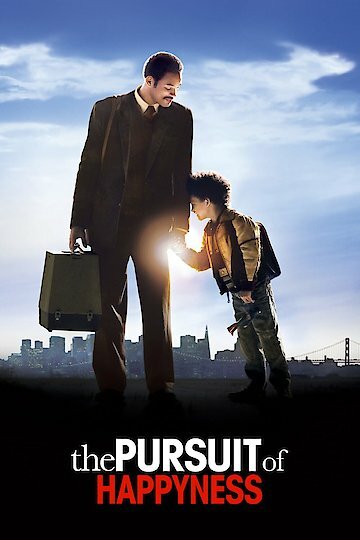 In this movie, viewers get to see a brief chain of events in the life of Chris Gardner. Chris Gardner is a salesman who is going through hard times and is looking for a way to improve his situation. He has a wife and a son and is therefore having difficulty supporting them due to his current financial problems. He eventually becomes homeless and must struggle to survive while training to become a stockbroker. Fortunately for him he is able to become a stockbroker and improve his quality of life. This movie takes place in the city of San Francisco. Gardner is currently selling medical devices to physicians and hospitals. Unfortunately the product is in low demand and he is not selling enough to cover his living expenses. In the middle of one of his days he stumbles upon a man in a very fancy suit and walking up to a Ferrari. Gardner asks him what he does and the man tells him that he is a stockbroker. Chris asks him if you need to be highly educated to do this and the man assures him that all you need be is good at numbers and good with people. When Gardner comes home he looks into the opportunity and the next day he fills out an application. While things may look promising for him, he is still dealing with his current difficulties with supporting himself and his family. His wife is nagging him about bills, taxes and also about their housing situation as they are three months behind in the rent. Gardner tells her that he is looking to become a stockbroker so that he can improve their financial situation but she is not impressed or encouraged. Chris goes to the firm Dean Witter to apply for the opportunity. Fortunately for him he is called in for an interview after talking to one of the executives on a regular basis. One day Gardner is painting his apartment and gets a knock on his door. He answers the door and there are police officers there. Gardner gets arrested due to not paying parking tickets. However he is able to get out of jail and get to his interview. At the interview he is in street clothes and the executives are shocked to see this. Gardner tells them that he was painting his home and got arrested for not paying parking tickets. Despite not dressing the best, he made a very good impression and is offered an opportunity to train for the stockbroker job. Unfortunately he becomes homeless due to not having the money to pay rent. He and his son bounce around the city spending nights at BART station bathrooms, riding the BART train and also staying at hotels and homeless shelters. Eventually Gardner beats out the other candidates for the stockbroker job and becomes one. He is very happy and in the end it has an epilogue stating his future accomplishments. The Pursuit of Happyness is currently available to watch and stream, download, buy on demand at Starz, Amazon, Vudu, Google Play, iTunes, YouTube VOD online.